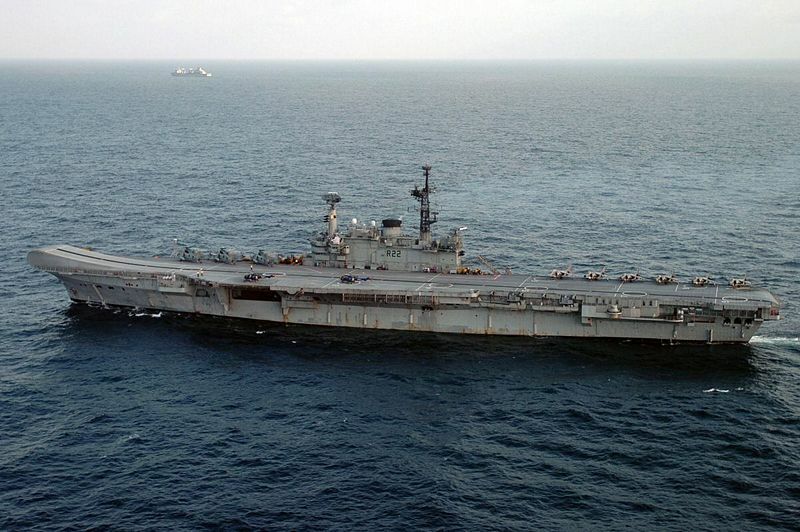 Port side view of the Indian Hermes Class Aircraft Carrier INS (Indian Navy Ship) VIRAAT (R 22) underway in the Indian Ocean as part of Exercise MALABAR 2005. The exercise designed to increase interoperability between the two navies while enhancing the cooperative security relationship between India and the United States. The at-sea exercise includes maritime interdiction, surface events, sub-surface, air events, and personnel exchanges. This page was last modified on 19 July 2007, at 05:24.